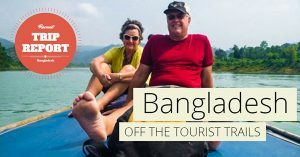 Listed on this page are our 1-7 day tour and excursion packages in Bangladesh, organized based on five different parts of the country. Choose from the menu bar above to filter tours based on specific regions, different types and lengths. Click any of the packages to check its detailed itinerary, price, map, terms, and next scheduled tour date. Check out our holiday packages in Bangladesh for the arrival to departure holiday packages of 8-28 day including hotel and airport transfers. North-Western part of Bangladesh. Most of the archaeological sites are located here. Attractions are: Lost City Gaur, Sompur Mahavihara, Temples of Puthia, Kantaji Temple, Bagha & Kusumba Mosque, Santal Tribal Villages, and many more. South-Western part of Bangladesh. The heart of Ganges Delta full with rivers and canals. Attractions are: Sundarbans Mangrove Forest, Backwaters of Barisal, World Heritage City Bagerhat, Sixty Dome Mosque, Kodla Moth, and many more. Visit the largest mangrove swamp on earth – Sundarbans, one of the wildest and least known environments in all of the South Asia. Sundarbans Tour will take you deep into the forest to explore the wildlife. You get a chance to see Royal Bengal Tigers, spotted deers, claw-less otters, crocodiles, and many other wildlife. Visit Dhaka and Rupganj. 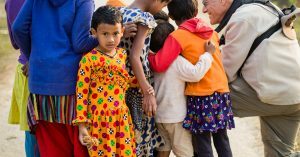 Experience life on Ganges Delta in Barisal by exploring it’s rivers and canals on a country boat and visiting it’s numerous floating markets, endless guava gardens, timber market, saw mills, brick factories, schools, and villages. Go overland and meet people. It will be an unique and highly photogenic experience full of activities. Experience life and culture on the backwaters of Barisal, the southern division of Bangladesh which is awash with rivers and canals and is the heart of Ganges Delta, where traveling by boat is the way of life. Visit the UNESCO World Heritage City in Bagerhat, and spend a day exploring the life and sights on mega city Dhaka, one of the most densely populated cities in the world. 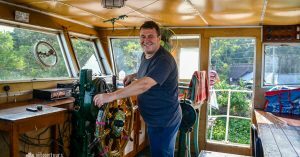 Overnight journey on a century old Rocket Steamer, visit all the sites at Old Dhaka and Bagerhat, and full 3 day excursion at Sundarbans, the largest mangrove swamp on earth, on a small group for a chance to see Bengal Tigers, birds, and many other wildlife. You get opportunity to visit 02 UNESCO world heritage site in Bangladesh. North-Eastern part of Bangladesh. This is the naturally beautiful tea region of the country. Attractions are: Tea Plantations, Tribal Villages, Lawachara National Park, Waterfalls, Wet-land Sanctuary for Birds, Stone Collection Activities, and many more. Spend a day visiting Lawachhara National Park, tribal villages, pineapple gardens and lemon orchards, handicraft shops of the Monipuri tribe, walking inside the trails through tea plantations, tasting the famous 7 layer tea, and and many more. Best tour to experience Srimangal on a single day. Spend an week-end wondering through the numerous tea plantations at Srimangal. Visit the villages of indigenous people like Tripura, Khasia, and Monipuri to see their lifestyle, trek through Lawachara National Park to discover many rare species of wildlife, specially the Hollock Gibbons. Spend holiday at Srimangal in leisure on a tranquilizing environment surrounded by tea plantations and forests. Trek through Lawachara National Park and see wildlife, visit the villages of indigenous Khasia, Tripura, and Monipuri people, taste the famous 7 layer tea and know the tea culture of Bangladesh. Adventure on the tea capital of Bangladesh – Srimangal. Walk through the trails inside beautiful tea plantations, trekking through Lawachara National Park for wildlife, and another laborious trekking inside Rajkandi Reserve Forest to discover Hamham Water-falls. Will be one of the highlights of your Bangladesh holiday. Visit picturesque Jaflong, situated at the border between Bangladesh and the Indian state of Meghalaya, overshadowed by subtropical mountains and rainforests. Enjoy boat ride at beautiful Piain river and blue water canal Lalakhal, visit Khasia tribal villages, taste betel leaves, and see people collecting stones on the river. Enjoy the celebration of Rass festival of Manipuri tribe, a festival devoted to the divine love of the Hindu god Krishna, celebrated with solo and group dancing combined with singing, chanted recitation, instrumental accompaniment, and a village fare. Great opportunity to photograph a new Asia like nowhere else! Experience the very best of north-eastern Bangladesh, which is one of the most scenic part and tea region of the country. Visit numerous tea plantations, different tribal villages, trek inside national park, walk through the trails inside tea gardens, ride boat on blue water canal, photograph stone collection activities, and many more. South-Eastern part of Bangladesh. Only hilly region of the country and home of numerous indigenous groups. Attractions are: Tribal Villages, Kaptai Lake, Tribal Bazaars, Cox’s Bazar Beach, St. Martin’s Island, and many more. Visit the Chittagong ship breaking yards together with other interesting places in Chittagong in a single day. Starting and ending at Dhaka, you’ll fly to Chittagong in the morning, visit the attractions there for the whole day and return to Dhaka in the evening by an express train or by plane. Experience the very best of Chittagong Hill-Tracts, a hilly region unlike other parts of Bangladesh and home of neumerous indiginous groups. Visit tribal villages and bazaars, ride boat at Kaptai lake and Sangu river, and visit the conroversial Chittagong Ship Breaking Yards. Enjoy 5 day of leisure on the beaches of Cox’s Bazar and St. Martin’s Island, visit a fishing port in Cox’s Bazar which is full of activities and offers amazing photo opportunities, and visit a fishing village to experience the lifestyle of the Bangladeshi fishermen and their family. Best beach holiday package in Bangladesh. Experience the very best of Chittagong Hill-Tracts area and Cox’s Bazar, a very diverse part of Bangladesh different from other regions. Visit tribal villages and bazaars, ride boat at Kaptai lake and Sangu river, discover some hidden gems of the beach city Cox’s Bazar, and visit the conroversial Chittagong Ship Breaking Yards. Nijhoom Tours is one of the leading tourism companies in Bangladesh that aims to provide the best possible tourism solutions to all the honored guests and tourists in the country. We are dedicated to provide you with the best Bangladesh holiday tour at competitive rates. You will easily find all the information and guidance you need for a pleasant visit and to get the most pleasant stay in Bangladesh. 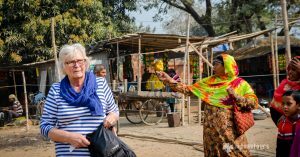 It is very necessary for any visitor in Bangladesh to be accompanied by an experienced tour guide for a good guide tour in Bangladesh, who knows what the visitors are looking for and how to take care of their needs. We will provide you the best tour guides, and find the best rates on hotels and accommodations, tourist spots, and the best Bangladesh holiday tour at the cheapest price. Holiday tour in Bangladesh with Nijhoom can be a great experience, because you have an experienced tourism company to help you plan your trip, select the places to visit, arrange transportation and accommodation, guide you to the places to eat and see without having to spend a whole lot of money. Listed on this page all of our holiday tour packages which could be modified according to your convenience. Click any one of them for more details of the tour. Why go for Bangladesh holiday? This country is not very popular with the tourists. So people here see very few tourists from the outer world. If you come to this country, you’ll always feel like a celebrity. Everywhere you go, you’ll always find people looking for you with great curiosity. Interesting enough? 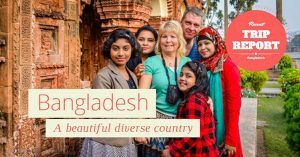 Here are some holiday packages of Bangladesh for you.